Note: For the purposes of this blog, when I use the words creators, artists, art, etc., I am speaking of anyone in the general field of making. This includes visual and performing artists, writers of all kinds, builders, bakers, thought leaders in their fields- really everyone. 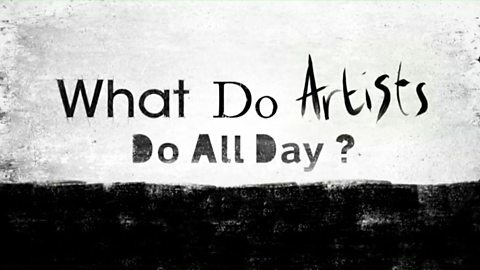 I don’t know who I could be leaving out with such a broad description, but know I am talking to ALL OF YOU when I say, artists. I've tried to be very clear about this in the past, but I don't consider myself to be a creative person. A friend laughed right in my face once after I said this out loud. “But you play an instrument”, she said. “You use to write music! You currently write a blog and you get ideas all the time. Of course, you're a creative person!” When you think about it that way, it IS funny. Funny because I fall behind in my work and it piles up after just a few days. Or I sit and stare at my laptop for hours because I can’t come up with anything to write. I am NO artist. At least, that’s what I’ve trained myself to think. Maybe it’s because I see artistry as elusive. Artists are ON all the time with perfect execution. They are the people making a difference with their creations. They change the physical world around them by manifesting their thoughts and goals into actions. They are DOERS. They can execute a plan- which seems to be where my creating stops. My mother would like to tell me I'm not doing enough. I just need to DO more. Get up earlier. Stay up later. Drinking more coffee. Doing less with the kids. Doing less with the husband. Spend more time doing all the tasks I have very little time to do. But, anyone who has tried to do more will tell you that DOING MORE simply causes MORE BURNOUT. And of course, MORE GUILT. In a true moment of defeat, I watched a Ted Talk by Eduardo Briceño on why we have trouble getting better at the things we like to do. In less than 12 minutes, his perspective made a lot of sense to me. Briceño believes I am living in the "performance zone"- a period of time where someone is operating at their highest skill level. It's the final show after months of rehearsals. It's when artists are ON. But what could be so wrong about working at your best all the time? Well, it feels like living on high alert all the time and possibly creating the lull in my work. When we aren't spending time in the "learning zone"- the time in which we work to improve our skills- we're constantly thinking of getting our art into the world as fast and flawless as possible, but without setting aside any time for study, growth, or improvement. It's expecting a perfect opening night without practicing the lines or blocking. My Problems Are More Specific Than "Learning" Vs. "Performing"
If the general take on Briceño's work doesn't sound like you, maybe you're stuck on some specifics. When I started to piece together this post, I had five VERY SPECIFIC reasons why my art wasn't improving. I'm always waiting for the perfect version to share. My art medium is blogging and photography, and because of the internet moves fast, I'm pushing myself to move with it. But that is the best way for me to BURN OUT. Constantly trying to churn out the best possible version AND as fast as possible is stifling my artistic brain and keeping me frustrated. And if you're like me, you have a family, maybe a day job, and a whole list of responsibilities that need doing. When will the world stop spinning so you can do your art? It won't. So do your art on your time and on your schedule. Pick a schedule that works for you. What I do all day is not a model for anyone but me to live by, so choosing someone else's creation model obviously won't work either. Be consistent and don't overwork your brain or your hands or whatever you use to make your art. And you're art will be better for it. I get caught up in the HOW and not the WHAT. As I mentioned above, I am really good at making plans. But then I get hung up on how I can get it done. Sorry, can't do that, no child care. Sorry, can't do that, it's too far from where I live. Sorry, I can't do that, I might be doing something else. I get so worked up about ALL of the steps that I'm not willing to make the first move because I can't see the end. A friend of mine likes to remind me that I don't have to have all the steps right now if I want to make a plan for the future. Or even for tomorrow. Sometimes I can answer "and then what happens?" at a later date. Sometimes we just have to take the leap and see where it takes us. I've been really good at doubting. I'm a black woman (or gay/ trans/ straight/ white/ anxious/ fat/ weird/ male/ whatever) and that's more to unpack. Bias. It's out there. Nothing I can do about it. We all try to push away from stereotypes, but they consume us more than we like to admit. What if no one is partaking in my art because they don't like me? 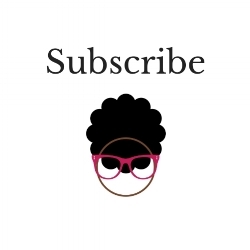 What if I'm not "black womanish" enough to warrant you to click my link or buy my product? What if I'm too "black womanish" for you to click my link? I can't be the Hamilton of my art making and what if that is stopping people from wanting to connect with me? I want to push against the mold, but I also don’t want to become so obsessed with being different that I’m not even being me anymore. The easiest answer is just to be you and let people decide for themselves you’re an artist they want to work with. Some people gravitate toward others that make them feel comfortable or art that speaks to them in some way. This is not a worry that should consume your work. I love my niche but maybe you don't. HAVE A NICHE. I hear or see this advice all the time. When you make something general to get EVERYONE to like your work, you really aren't marketing to ANYONE. What if my niche is still too general? What if it's too niche-y? How will I know when I find that "sweet spot" and can really get my art to the right people? When you put passion into your art, people will feel it and want to engage with you. Especially if it's something they already love. Some people who love your TYPE of art may not like YOUR art. And that's ok. Really, it is. You can't please everyone and worry of whether your NICHE is "nitch-y" enough is tiring. There are so many people in the world that when they want more of what you produce, they will ask for it: either by working with your or buying your product. Stick to your niche and love your art. Someone else will too. Then I realized it came back to the main concept as a whole: I DON'T PUT IN THE PRACTICE TIME. I have the same number of daily hours that everyone else has, but it feels like I have so much more responsibility. 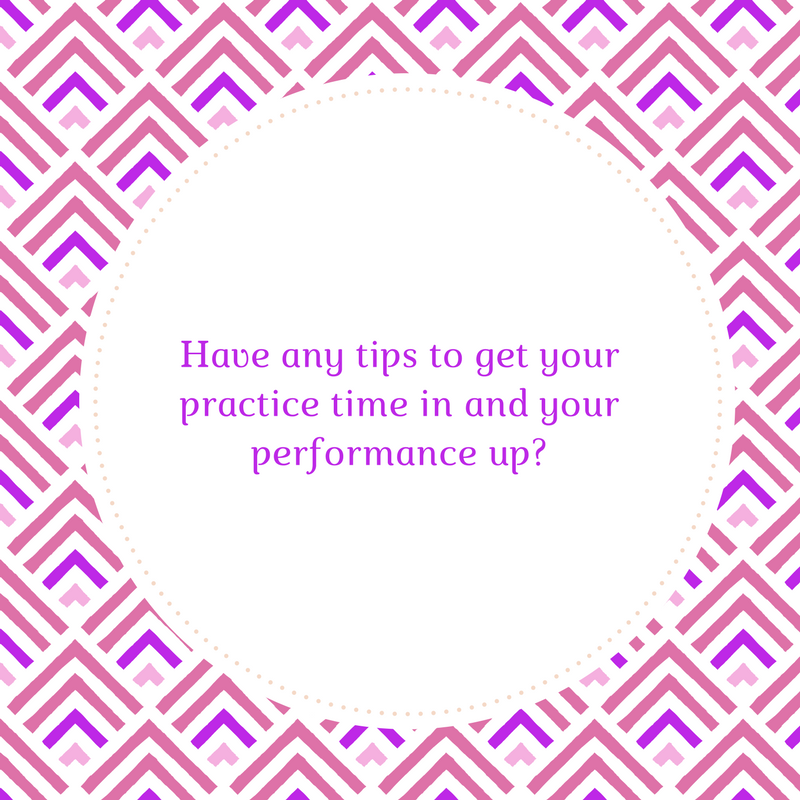 I don't have time to practice. I haven't practiced anything since I was a kid. And that is why I need to more than ever. My work is out of practice and all the above excuses I've made for myself are one in the same: take the time to get better. Work on something that might never be seen. Workshop your art with another professional or a trusted friend. Post it to Tumblr- just do SOMETHING. Show your work in all its various stages and continue to put it into the world. Remember to take breaks and give yourself some self-care. Then, get back to work. Because above all, regardless why you make your art, or what kind of product you create, your work is vital. Feel free share with your thoughts below or this article on your social media.